This allows the evangelist to guide the hearer into facing who they really are… a sinner. Have you ever looked upon another person with lust? …And, so on. The responses given are almost always answered in the affirmative. The next step is to then ask them what they would call someone who lies, steals, lusts, etc. Again, the answers are typically pretty standard: “a liar”, “a thief”, “an adulterer”, etc. 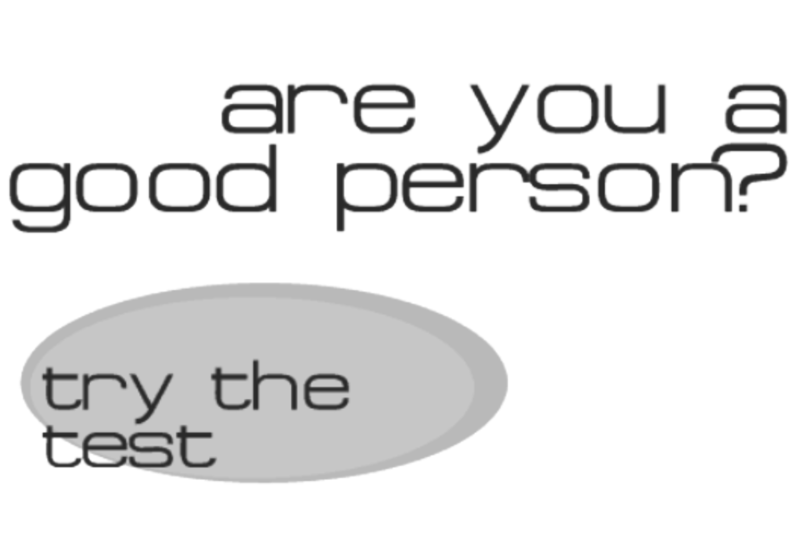 The point of this line of questioning, again, is to expose the hearer’s true self to them, in order to show them that they are in fact NOT a “good” person. After a little self evaluation, the unbeliever usually agrees that they are in fact a liar, a thief, or an adulterer, etc., to some degree. All good stuff, and very important. It is then usually explained to the one being evangelized, that it is the Ten Commandments from which these questions originate. Then, the one being evangelized is also typically told that the Ten Commandments is God’s standard for judgement, and they are then warned that a judgement day is coming at some point in the future, either when they die, or when Christ returns, whichever comes first. The Gospel is given, and the hearer is then urged to repent and to also put their trust in Christ. It’s fairly straightforward, and remarkably effective. This is evangelism 101. Those who are evangelized this way are usually, at the very least, given pause. Meaning, they walk away with something to consider, which they may have never even considered before… their salvation. Which, is more important than anything else, frankly; coming to terms with one’s “salvific” reality. So, I have a question. How would you answer this rebuttal from an unbeliever? Now, this may not seem that significant on face value, but it actually nullifies the justification of the standard used in the test demonstrated above… the Decalogue. Because, the Ten Commandments were given to Old Covenant Jews… EXCLUSIVELY. The Ten Commandments were not given directly to anyone alive today. They were given to a specific group of people, at a specific time and place in history, for a specific purpose, as the stipulations for a specific covenant, through a specifically appointed man, Moses (Acts 7:36-38). In other words, the people we (Christians) evangelize are not subject to the requirements of a covenant that they are not a part of. To offer questions from that standpoint is therefore, not appropriate. It’s like informing someone in New York, that they are doing something wrong according to California Law. Now… let’s make something perfectly clear. There is NOTHING wrong with using these questions when evangelizing. In fact, they are as helpful as ever, and I would recommend using them when witnessing. What is questionable here, however, is the grounding for said line of questioning. To challenge a non-Old Covenant Jew with the requirements of Old Covenant Law, would be inappropriate, no? So, what is the proper grounding? So then, why not instead ground the questions in Christ Himself? After breaking the ice by asking the unbeliever whether or not they are a good person, we should then immediately inform them that God judges us by Christ Jesus. Yes, ask them if they had ever told a lie, or stole, or looked upon another person with lust, etc. But then, explain to them that Christ is not a liar, Christ is not a thief, Christ is not an adulterer, and so on. Explain that He is the standard by which God judges all people, so repent (change your mind in regards to who you are) in light of how you compare to Him, and also trust in Him to do the heavy lifting that you cannot do which God requires. It is by Christ which we are all evaluated. Christ, God Himself, is the standard which determines whether a person is good or not. Perhaps the method would work better if the Sermon on the Mount were used instead of the Ten Commandments. And how would the evangelist respond if the person he was speaking to asked if he kept the Sabbath? It just seems more appropriate to use Christ as the standard, and get to the heart of it. As for the Sabbath, again, there are no Old Covenant Jews. But, there are principles from the Sabbath which the Christian can apply to their lives which is good for both the spiritual and physical. Well, the point Paul makes is that Jesus, Himself, is the standard (Romans 2:16). Also, look at how Paul evangelizes non-Jews. He always goes straight to Christ. Check out Acts 17:30-31. Previous Previous post: Am I… Evil?